Casey ma kontuzję stopy. Wycofała się już z Hopman Cupu, a jej występ na AO 2013 jest zagrożony. Nie ogarniam tego wpisu, przepraszam xd Mamą? Jej PARTNERKA? Tym bardziej, że dziecka gratulują jej dziennikarze przebywający w Nowym Jorku XD. Despite a first-round loss at the US Open on Tuesday, Casey Dellacqua declared she has even more to play for after revealing her partner Amanda recently had a baby. Dellacqua says their baby Blake Benjamin arrived just three weeks ago. "It was my time to be at home and it was my time to relax and enjoy myself," the 28-year-old said, explaining her absence from tennis after Wimbledon. "I'm loving motherhood, my whole thing in life is family and it's been a pretty exciting time." Dellacqua, who has seen a dip in her singles form but had a standout year on the doubles circuit, says she doesn't think the birth will make her want to cut back on tennis and spend more time at home. "If anything, I don't know, maybe it makes me a bit more motivated because I've got something to play for," said the world No.181. 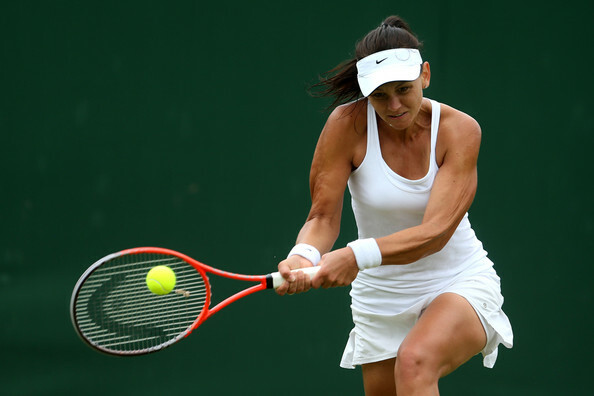 Dellacqua says that while she's passionate about tennis, it's not everything to her. "It's an elite sport but there's so much more to life and for me that's what life's about, about family so we'll try and make it work," she said. "You see a lot of players out on tour with families." Dellacqua, who made the main draw at Flushing Meadows through three qualifying wins, lost 6-3 1-6 4-6 to Croatian Ajla Tomlijanovic on Tuesday. She is now eyeing off a deeper tournament run in the doubles with fellow Australian Ashleigh Barty. The pair have enjoyed a memorable 2013 already, making it to the Australian Open and Wimbledon finals and collecting one WTA title, Dellacqua's second of the year. "We've played four tournaments, made two grand slam finals and won a WTA event so it'll be good to get back out there with Ash," Dellacqua said. Dellacqua is also looking forward to playing mixed doubles with Scott Lipsky, with whom she won the French Open crown in 2011.